We are a rib family! We can’t get enough of them! These spareribs are so good and I have to say, so easy too! Simple Sweet and Sour Spareribs is definitely a recipe you will make over and over again. The sauce is total perfection. Just the right amount of sweet and just the right amount of sour. This recipe turns out beautifully every time! These Simple Sweet and Sour Spareribs are perfect when you want to try something different on your ribs! This is a recipe you have to give a try! Preheat your oven to broil. 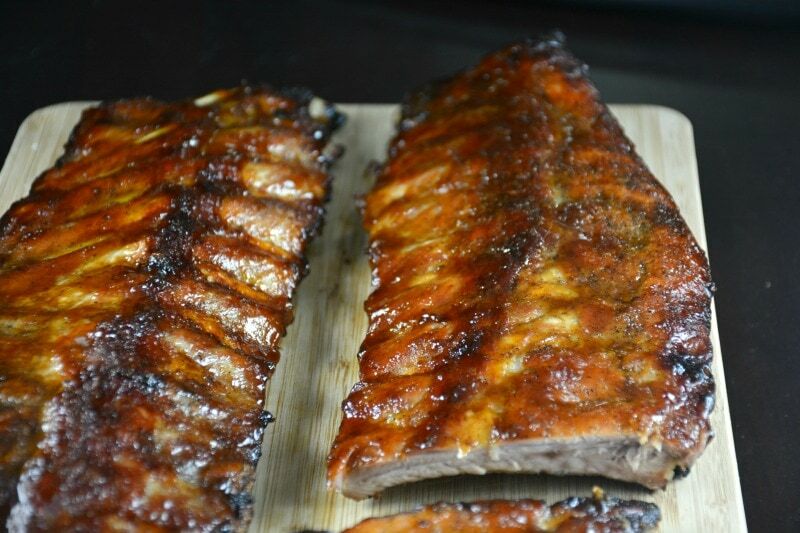 Prepare a rimmed baking sheet with tinfoil and place spare rib racks on top. 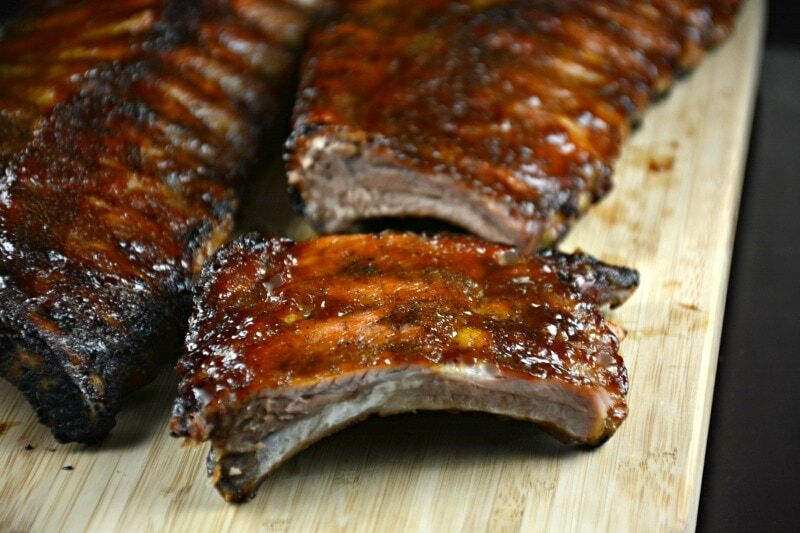 Place spare ribs under your broiler and brown your ribs for between 7 and 10 minutes. Ribs should be nice and brown on top before you reduce the temperature. Pour off excess grease if needed. In the meantime, in a small saucepan, bring 1 3/4 cups combine broth, molasses, vinegar, brown sugar, soy sauce and garlic powder to a boil. Add salt and pepper to taste. Combine remaining broth and cornstarch in a small cup. Add to boiling mixture and stir to thicken. Pour, brush or paint over top of your spareribs. Cook at 375 degrees for 1 1/2 to 2 hours, or fork tender. Baste ribs periodically with remaining sauce as often as you desire. Two or three times is more than enough. Broil for a moment or two before removing ribs from the oven. 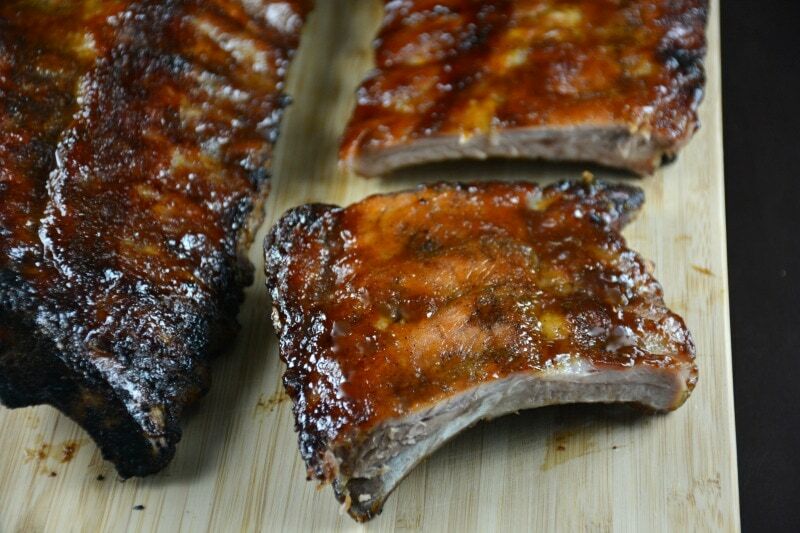 Caramelizing the sauce on your ribs with harden the sauce and add an amazing finish to these ribs. Serve hot and enjoy!